musculoskeletal & sports injury rehab. 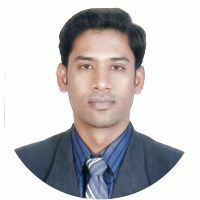 Hari prasad m is an experienced physiotherapist, available for physiotherapy services in Adyar - Thiruvanmiyur, NH 49, Chennai. Hari prasad m is specialized in Musculoskeletal physiotherapy services and can help with Knee Pain, Neck Pain, Back Pain, Shoulder Pain, Sciatica Pain, Joint Pain, Tennis Elbow, Cervical Pain, Stroke, Muscular Dystrophy. Book In-Home PHYSIOTHERAPIST appointment near Adyar - Thiruvanmiyur, NH 49 Now!